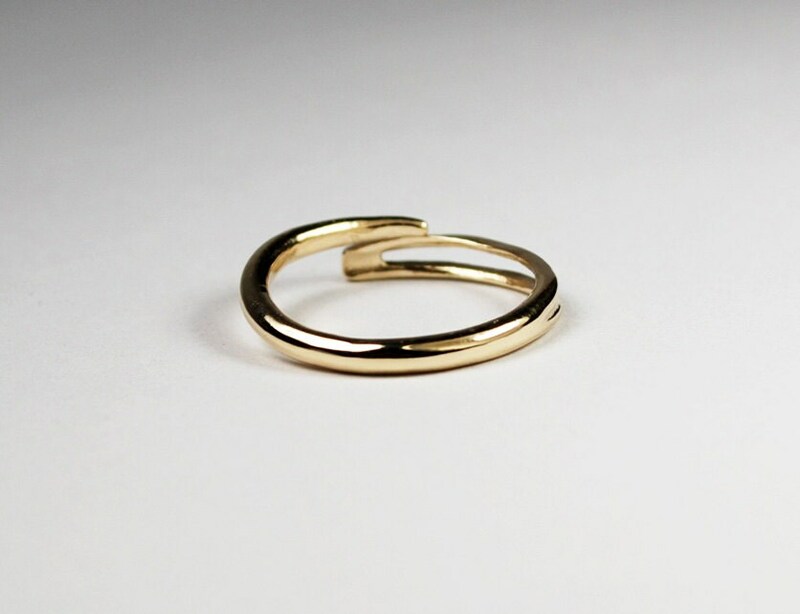 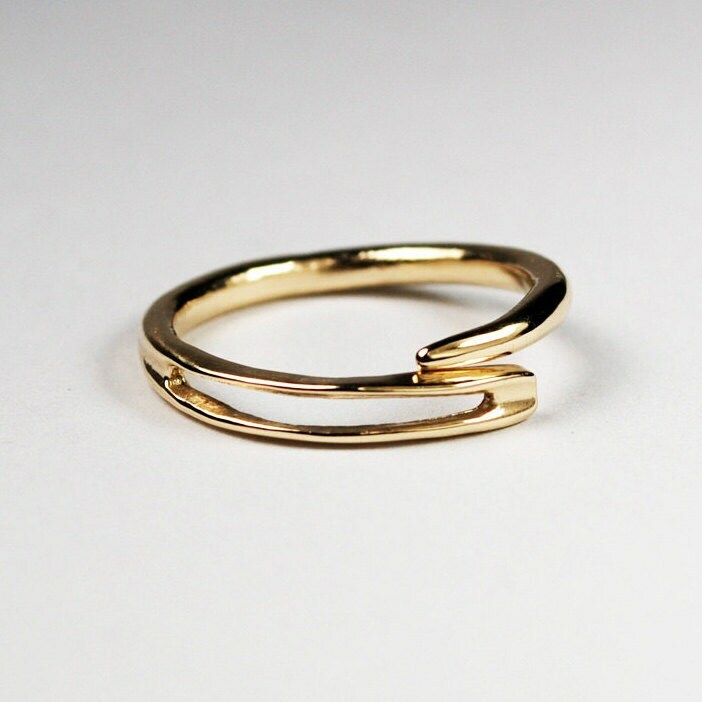 An Embroidery needle is cast in solid gold and fashioned into a wrap-around ring. 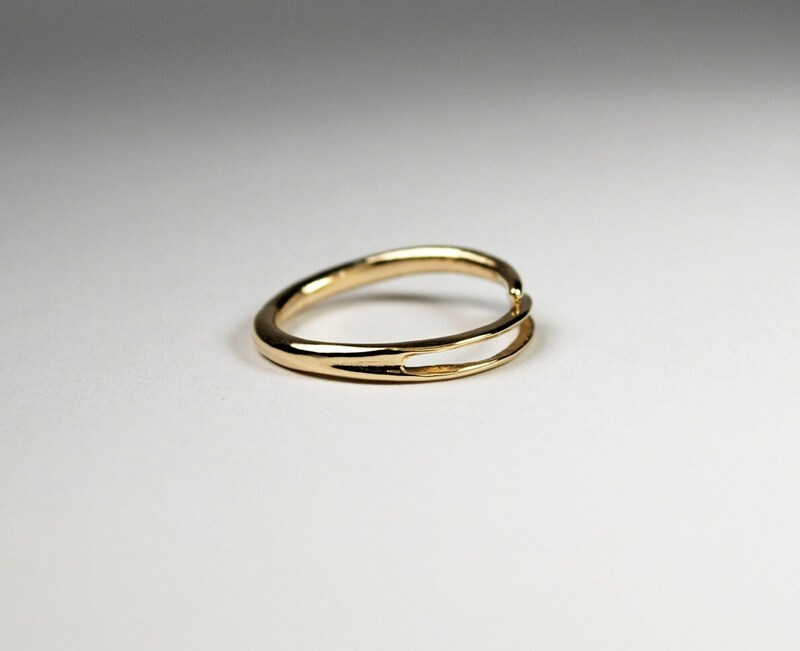 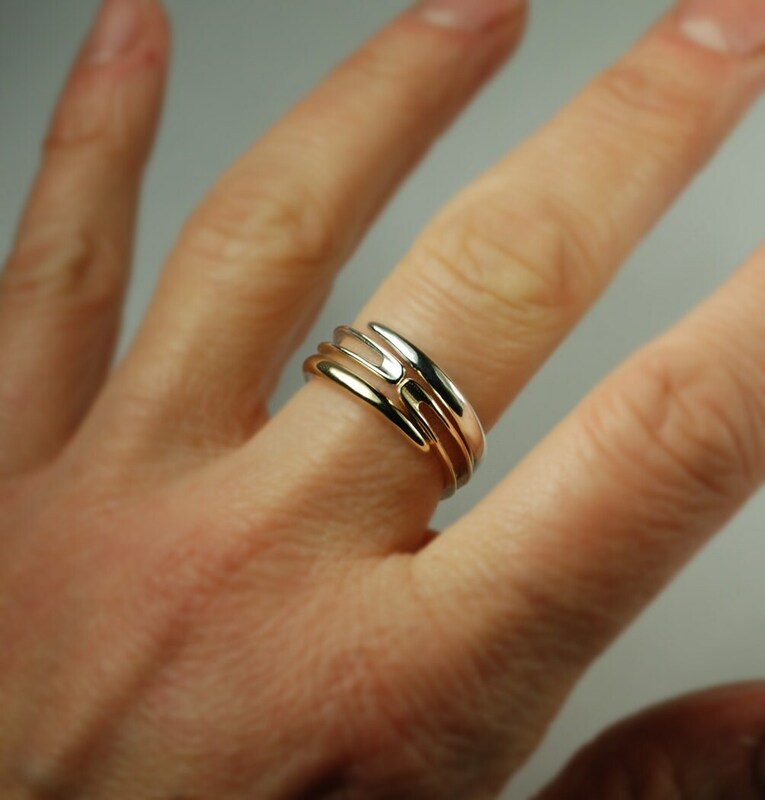 Great for the stylish & crafty seamstress, this ring can be worn all the time on its own or in a stack. 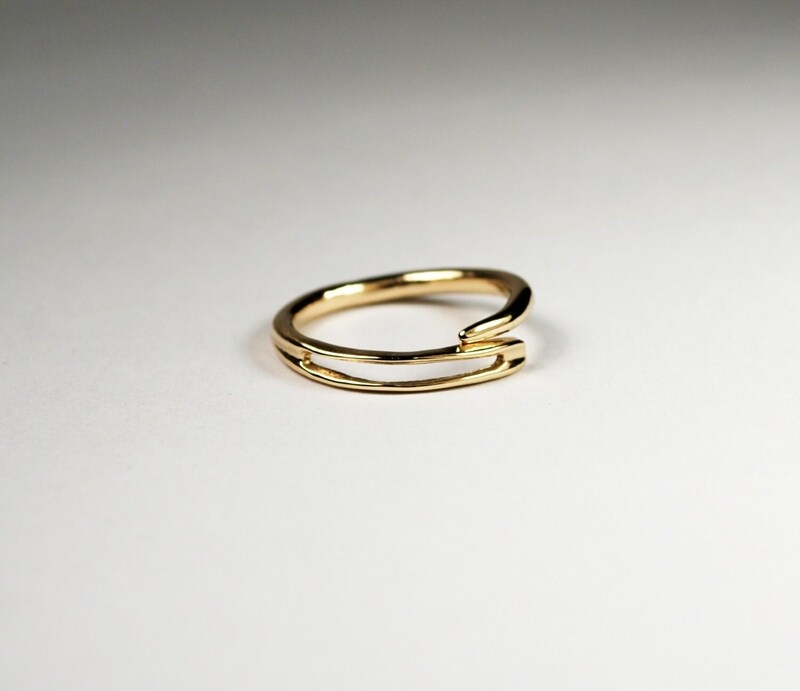 The width of this ring is approximately 2-2.2mm.